A few months ago, it was publicly revealed that rather than license their music to digital music giants, the Beatles are actually far more interested in treating MTV Games to their back catalogue of tunes. But it’s not just their tunage that’ll be incorporated into the deal between MTV Games, Harmonix and Apple Corps Ltd – the game will also introduce a bunch of new hardware modelled after instruments used by the famous foursome. That means, all aspirations to actually be Lennon, McCartney, Harrison or Ringo Starr can be fulfilled – although this probably applies more to older generations (so watch out for mum and dad hovering around during game play). At the moment, all that appears on the official site is a holder page with details of a September 9th launch date. But we can reveal the game itself will be sold software only for $60 USD on Xbox 360, PlayStation 3 and the Wii. The hardware, which at the moment seems to just be guitars, will retail for $100 USD, and if you want to get your hands on the full package, you’ll need to fork out $250 USD for the lot. 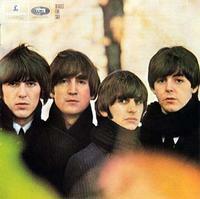 Word is there are at least 45 Beatles songs from the band’s 1962 to 1969 EMI catalogue. You’ll have to provide your own costumes and wigs though.